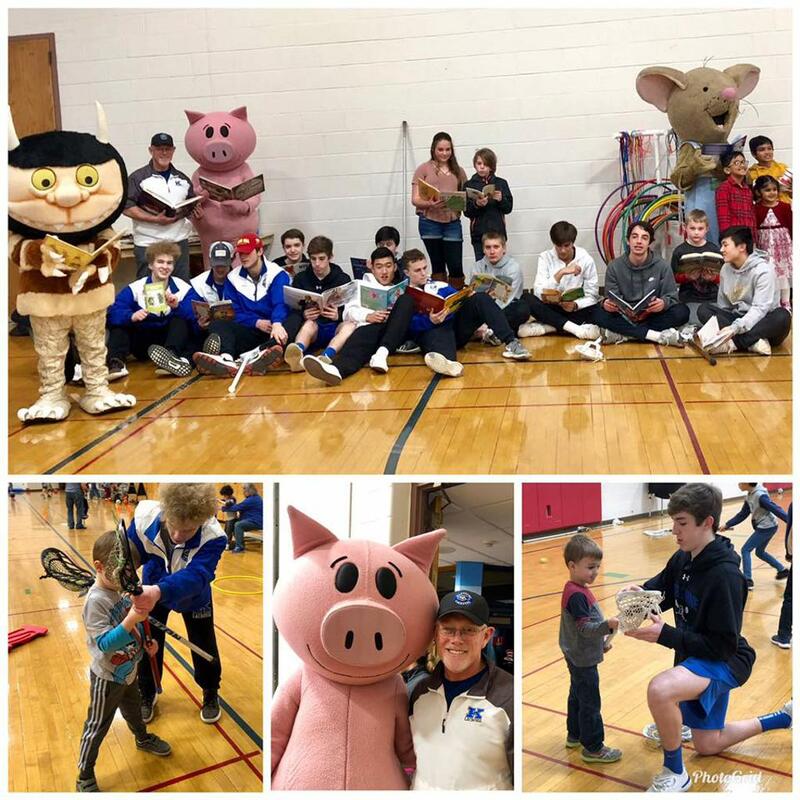 Kilbourne Lacrosse Lends Voices to "Read Across America"
A dozen Kilbourne Lacrosse players volunteered at "Read Across America" on Friday (March 1) at the Worthington Community Center. The annual national event coincides with Dr. Seuss' birthday and helps collect donated books and stages local activities for children. In addition to collecting books to donate, Kilbourne Lacrosse players conducted an open gym to play with the kids and taught them some basics about lacrosse. Interim Head Coach Mike Riffee, who has volunteered at the event for years as part of the team's 'Man-Up' community service initiative, said, " My favorite 'Man-Up' community service project each year with our players, young laxers and lovable book characters. A table full of books and lacrosse go hand in hand when you love to read and grow the game!" Another successful and fun 'Man-Up' community service effort in the "books"!